Mixed metal oxide nanocomposite assisted photocatalysis has gained enormous interest among the scientists as a potential candidate for degrading environmentally harmful pollutants. This chapter reviews the recent advancement in the field of photocatalysis, focusing on the scientific challenges and opportunities offered by semiconducting mixed metal oxide materials. This review begins with a literature review to explore the suitable material and to optimize their energy band configurations for visible light active photocatalytic applications. This continues with examining the design and fabrication of hybrid nanocomposite materials for efficient photocatalytic performance. 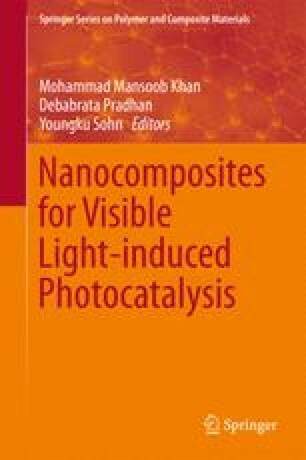 Finally, the discussion is meant on the synthesis methods for understanding the key aspects to engineer the nanocomposites for its use as an efficient and sustainable photocatalytic materials. This chapter also emphasizes vital problem that should be noted in upcoming research activities.